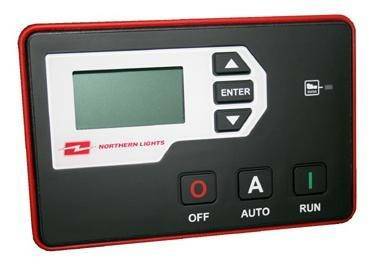 Marine power generation manufacturer Northern Lights has introduced the Tough Series Control Panel (TSC) to provide control to Northern Lights generator set functions. Featuring a back-lit LCD display screen and large, easy-to-read push buttons, TSC is versatile enough to permit remote monitoring and control connection through a single data and power cable, up to 30 meters in length, the manufacturer said. Available RS485 and J1939 protocols can be connected to a remote monitoring system. The TSC is factory programmed with voltage and current monitoring for single and three-phase applications. Pressure and temperature warnings and shutdowns are standard to help protect generator sets. Warnings and shutdowns for frequency and voltage protect electrical equipment. Sound enclosure mounting is available for a quiet and streamlined engine room. The Tough Series Controller is available on a wide range of Northern Lights generator sets, both marine and land-based. The Northern Lights family of marine generator sets includes products from 5-545kW. Northern Lights Commercial series generator sets include products from 20-150kW.